Cultural line-up at the World’s Largest Prabasi Nuakhai Bhetghat released! 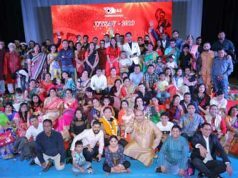 Dubai: The World’s Biggest Nuakhai Bhetghat (Outside India) being organised by the Western Odisha Parivaar of UAE at the Auditorium of the Indian Consulate in Dubai, United Arab Emirates on Friday, the 8th of September has announced its full cultural line-up. Apart from wonderful performances by talented local Odia men, women and children, there are 14 Artistes who are specially flying in from India to showcase their talent at NUAKHAI BHETGHAT UAE 2017. Special guest at this year’s function will be the internationally acclaimed Odissi and Sambalpuri dancer, Shri Saswat Joshi. Shri Joshi has popularised Western Odisha Culture, Music, Dance and Handlooms across the globe and this will be his first visit to the Middle East and North Africa (MENA) Region. He will perform a few of his signature moves at the function. Legendary Actor & Playwright Shri Atal Bihari Panda, world famous for his roles in ‘Sala Budha’ and ‘Aadim Vichar’ will be another Special Guest. Shri Atal Bihari Panda has been accorded with over 60 awards from various sectors. In 2013 he stepped into the Ollywood industry and created magic through his work. Shri Panda received the “Best Actor Award” in the 25th State Film Awards for ‘Sala Budha’ (in the year of his film debut). This will be Shri Panda’s first visit abroad. The magic of Sambalpuri Folk Music and Dance will be showcased by the hugely talented 12 member troupe from Sambalpur Kala Parishad, the pioneering cultural institution of Western Odisha. Established in 1956, Samabalpur Kala Parishad is working in the field of research & development of indigenous folk culture since more than 60 years. It has promoted many hidden talents to mainstream and given different platforms to many folk artistes from various parts of the state. 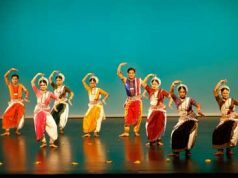 This troupe’s performance in Dubai will be Sambalpur Kala Parishad’s first foreign performance in the last 24 years. Their last trip abroad was to Indonesia in 1993. 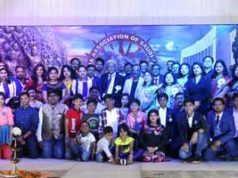 The troupe is led by Shri Surya Prakash Guru who is himself a music director and singer. A great attraction of the day will be the staging ‘Saptapar’, World’s First Multi Ethnic Exclusive Sambalpuri Fashion Show (outside India). Local Odia Models will walk the ramp alongside some foreign models. ‘Saptapar’ will showcase the clothes of the sponsor of the show ‘Wardrobe by Arpita’. Wardrobe by Arpita is an innovative boutique in Sambalpur which specializes in Indo-Western designer dresses and trendy Sambalpuri dresses designed by SUJIT MEHER. Some of Shri Sujit Meher’s creations will also be displayed by the models in Dubai. One of the highlights of the cultural program will be dances by kids on famous Sambalpuri songs. Their dresses have been specially made and flown in from India. Mahanadi Coalfields Limited (MCL) is the ‘Powered By’ Sponsor of NUAKHAI BHETGHAT UAE 2017. MCL’s support in promoting Sambalpuri Culture on a world platform is greatly appreciated.